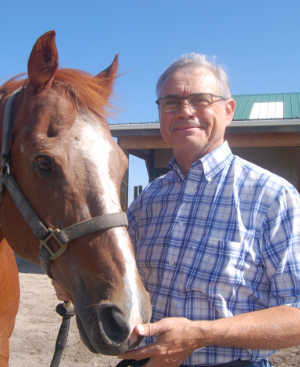 Dr. Marc McCall is an equine veterinarian from Parker, CO. He is a 1984 graduate from Kansas State University and his practice has been limited to horses since 1985. Dr. McCall has a special interest in the areas of equine lameness, surgery, medicine, and dentistry. He regularly participates in continuing education programs at the national and regional level. He is a member in good standing of the American Association of Equine Practitioners (AAEP), the AVMA, and the Colorado VMA. Dr. McCall was raised in the Quarter Horse world, and competes as an amateur in Calf Roping and Breakaway roping. Dr.McCall is married to Lori McCall, and they have two children. Lori is a speech/language specialist at two schools in the Cherry Creek School district. His son, Scott, attends Vanderbilt Medical School, pursuing a combined MD/PhD degree. His daughter, Leah, dances with the Los Angeles Ballet. Dr. Michael Hupp grew up in Littleton and went to the University of Colorado – Boulder. Shortly after graduation, he moved to Kansas City with his future wife. While in Missouri, he graduated from the University of Missouri’s College of Veterinary Medicine in 2012. He and his wife moved back home to Colorado in 2015. 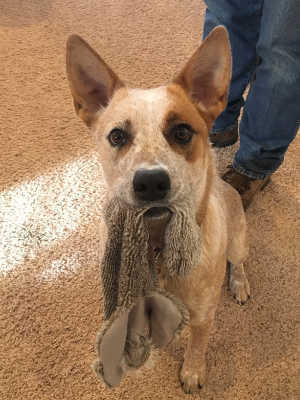 He has three energetic children to keep him busy, two Australian Shepherds to keep him in line, and a Hanoverian mare and a Haflinger gelding to keep him working! Dr. Hupp enjoys lameness, dentistry, and ophthalmology cases. He is a member of AAEP and AVMA. Tammy Decino has a barn full of happy horses that keep her busy! Before working for Cherry Creek Equine she was a long time client. She is usually in the office on Tuesdays and Fridays and helps keep everything running smoothly around here. Nicole Kipp has been around horses her whole life. As a rider, she has competed in both Western and English disciplines, and has worked as a trainer in the area for a number of years. She assists both doctors and helps with the office work when needed. Jolene always reminds us to keep our ears up and our eyes on the goal. During office hours (and when she’s awake) her tasks include boosting morale, facility management and security, and is occasionally available for orthopedic consults. Jolene is currently training to be an Agility Ninja. Equine medicine ranges from the routine to advanced, and our patients range from young to old, and from high-end athletes to retired pasture pets. Our practice approaches this wide span of needs by beginning with whole horse health. Mainstays of our equine health program include preventative care, dentistry, and nutrition. Simply put, healthy horses perform better and many chronic conditions can be avoided or slowed by early detection and appropriate therapies. Our practice believes that an evidence-based approach is superior whenever possible and accordingly, we strive to stay current on best practices, diagnostics and treatments. With so much information available at our clients fingers, we hope to remain that important resource that they can trust to separate the helpful horse hacks from the internet hoaxes. Our practice believes in using technology whenever helpful and appropriate. We use state-of-the-art diagnostic equipment including digital radiography, ultrasound, and endoscopy. Our trucks are outfitted with wireless technology that allows on-site billing, invoicing and payment collection, with confirmation emails delivered before leaving the driveway.